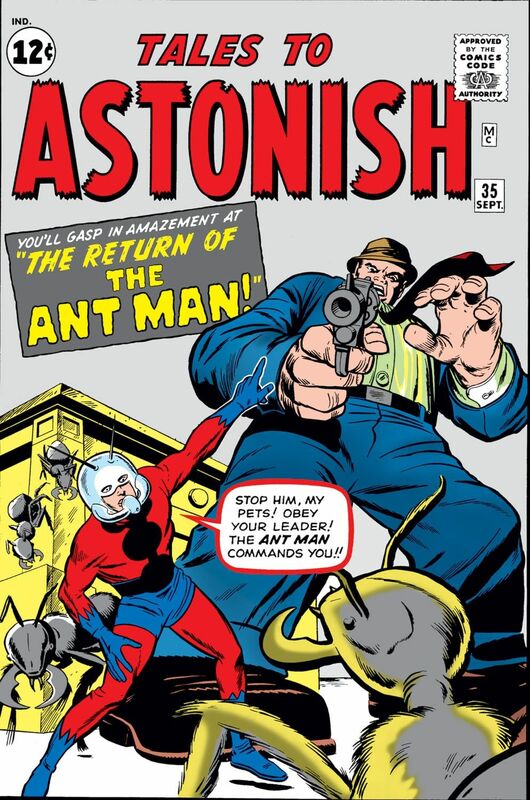 With the upcoming movie adaptation of Ant-Man and The Wasp this year, it seemed like a pretty good idea to write a little bit about their history, who they were before they became the super-heroes we all know them to be. 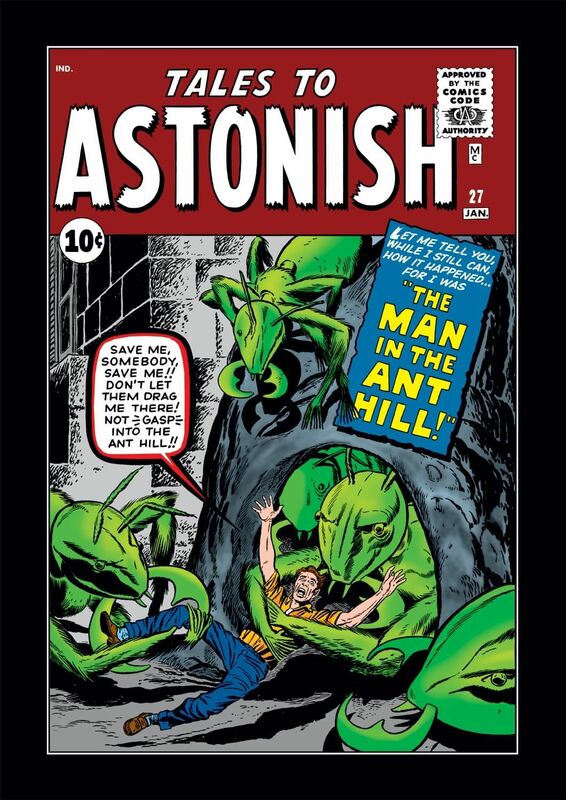 Starting with Ant-Man or else Hank Pym (keep in mind this is the first comic appearance so Hank Pym was the first Ant-Man), who made his first appearance as Hank Pym in Tales to Astonish #27, January 1962 and as Ant-Man later the same year in Tales to Astonish #35 back in September 1962. Created by no other than Stan Lee, co-created and drawn by Jack Kirby and, scripted by Larry Lieber, Hank Pym was a brilliant scientist who discovered a group of particles, that later were named the Pym Particles, that could be used to change someone’s size. Afraid that he created something that in the wrong hands can be used in a manner that he never intended and after his own experience of using it, which quickly turned into a horror story with him finding for his life. As with a lot of silver age comics, his first adventure was closely related to Cold War and “those commies”. There are a few things that most people don’t know about Ant-Man and how he really became who he is to this day. Hist dark past and his great intelligence. Hank Pym was an ordinary biochemist until his wife, Maria Trovaya, was murdered on a trip to her home country of Hungary. Her death caused, as it’s to be expected, a mental break down to Hank. After he recovered he found a new purpose in his work and tried to find a new way to battle injustice in his own way which leads him to his extraordinary discovery of the Pym Particles. Now we all know that Hank Pym is smart but being appointed a Scientist Supreme by Eternity (an extra-dimensional entity) smart is something that eluded a lot of new readers. 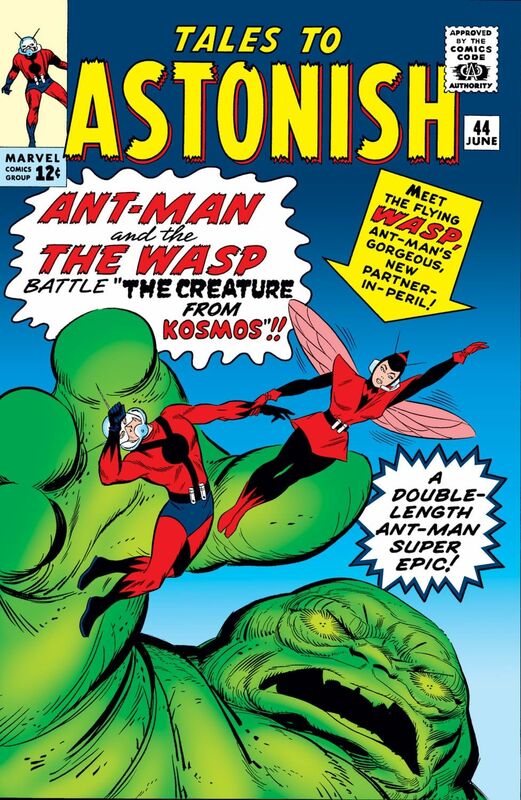 The Wasp or else Janet Van Dyne was created by Stan Lee and Jack Kirby as a sidekick and for a person of special interest for Hank Pym the daughter of a famous scientist Vernon Van Dyne, her first appearance was almost a year later than the one of Hank Pym in “Tales to Astonish #44” back in June 1963. In an attempt to share scientific notes and to get some help on a personal project Vernon Van Dyne approached Hank Pym and brings his daughter with him. We meet Janet Van Dyne as a cocky, brat enjoying her father’s fortune. Hank and Janet are instantly attracted to each other but due to Janet being too young and having a childish behavior they do not get closer. After her father’s experiment brings an alien from the planet Kosmos he ends up dying. Janet Van Dyne seeks revenge and Hank Pym comes first in mind since her father talked so highly of him. Hank meet with Janet and helps her become what will be known as The Wasp. As with Ant-Man, Wasp has her own story that a lot of people do not know. Together with Ant-Man she was a founding member of the Avengers, the first female member and she was the one to give them their name. Ant-Man and The Wasp became a dynamic duo that led to many amazing comic chapters. But they were also a troubling couple that gave a whole different perspective to comics. Their relationship ended with a divorce. To summarise, Ant-Man and the Wasp are two comic heroes that go far beyond the movies. Their story lasts decades. It’s adventurous, dramatic, critically acclaimed and what more it portrays the heroes in such a way that you can view their humanity and their struggles. If you are new at this and you want to start somewhere, Ant-Man and the Wasp is an amazing way to start this journey.